Mayor Rahm Emanuel, the Department of Cultural Affairs and Special Events (DCASE) and the League of Chicago Theatres have designated 2019 the "Year of Chicago Theatre." This citywide, year-long focus on theatre is the first of its kind in the U.S. The initiative will include theatre performances and special events for the public - many of them free - at hundreds of cultural venues, theaters, parks and neighborhood locations throughout the city. The City of Chicago and its partners will also launch a marketing campaign that leverages a powerful new brand for Chicago theatre; provide additional financial grants to theatre projects; encourage dialog around inclusion and equity; and call on civic, philanthropic, arts and business leaders to support the theatre community. Wednesdays, January 16, 23 and 30, 6:30pm Claudia Cassidy Theater, 2nd Floor North, 78 E. Washington St. While you wait for the 35th Chicago Latino Film Festival, watch these films for free at the Chicago Cultural Center! The films selected are from Cuba, Colombia, Mexico, Argentina, Peru, and Brazil and depict the adventures, challenges and joyful moments of youth in Latin America. Visit the website for a full schedule of events. 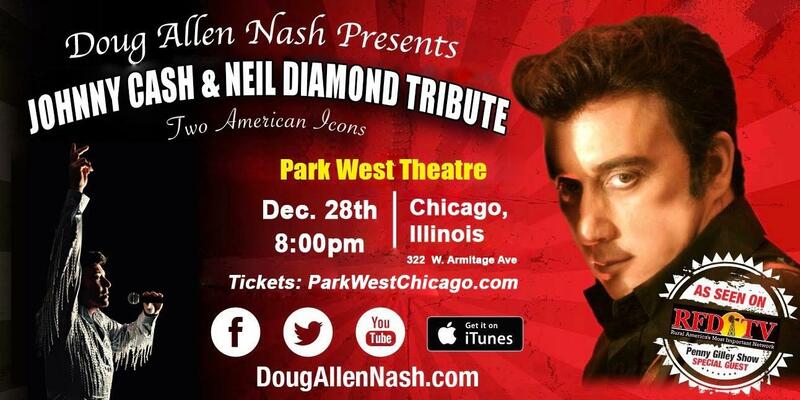 Presented by the International Latino Cultural Center of Chicago in collaboration with the City of Chicago Department of Cultural Affairs and Special Events. Chicago Cultural Center, Chicago Rooms, 2nd Floor North, 78 E. Washington St.
Over the course of seven years, artist and educator Cecil McDonald, Jr. photographed people he describes as "extraordinarily ordinary." As the artist explains, "When it comes to Black people, America is fascinated with extreme poles: either showing victims of violence, pain, and poverty (Black misery) or famous athletes and entertainers, and icons of popular culture (Black exceptionalism). This false dichotomy denies Black people the individuality and full spectrum of humanity that is so readily offered to the white population in this country." The photographs of In the Company of Black live in the space between, including tender moments with McDonald's daughters, informal portraits of his friends and collaborators and references to music, art, history and popular culture. Chicago Cultural Center, Room 108, 1st Floor South, 78 E. Washington St. Presented as part of Art Design Chicago, an initiative of the Terra Foundation for American Art exploring Chicago's art and design legacy, "Everyone's a Designer/Everyone's Design" is a free traveling museum exhibition that explores and celebrates everyday Chicagoans' influence on art and design in the city. Travelling across Chicago's Cultural Centers, the exhibition tells the stories of five people, the homes they've made uniquely their own, and the rich design and architectural history of their neighborhoods. Presented by Mayor Rahm Emanuel, Night Out in the Parks brings over 1,000 cultural events to neighborhood parks each year. Chicagoans and visitors alike, enjoy the breadth of world-class events in every one of the city's 77 community areas. Here are a few programming highlights happening in January, but be sure to check out their website (or download the app!) for a full listing of events! Wednesday, January 9, 10-11am Northerly Island, 1521 S. Linn White Dr. This month, join us for a hike to learn about hibernation and answer the question "Where do our favorite animals go in the winter.?" Afterwards, we'll warm up indoors & enjoy books in the reading nook. There will also be a craft based on the book "Where the Wild Things Are". Tilton Park and the Garfield Community Council will pay Tribute to Dr. Martin Luther King Jr. with readings, dance performances, and music. Food will be provided. This free, family-friendly event is open to all ages. Friday, January 4, 6:30-8:30pm 2509 W. Irving Park Rd. Winter Wonderland Indoor movie in the park. RPAC will be selling concessions. This event is presented by the Revere Park Advisory Council. Compositions from Brahms, Bartok, Debussy, and Mark A. Olivieri will be performed by Duo Lada, with violinist-professor Dr. Blagomira Lipari and pianist-teacher Dr. Elaina Burns. Woodson Regional, 9525 S. Halsted St.
Share a Caldecott Award winning book and participate in a craft activity based on the illustrations. With their Artistic Director, Julianna Slager, Ballet 5:8 presents "All God's Children," which shows the beauty of what makes us distinct without forgetting what binds us together, and excerpts from "The Four Seasons of the Soul," showing how the turning of the seasons parallels the recurring themes of human life. There will be a short Q&A with the dancers at the end. - Thursdays are suggested donation days for Illinois residents. - Illinois teachers with a school ID can receive free admission for themselves when visiting alone or with friends and/or family. - Blue Star Families: Active duty service members and their families can enjoy free admission year-round. Additional details. - Museums for All: We are pleased to offer a discounted admission fee of $1 to individuals and families presenting an Electronic Benefits Transfer (EBT) Card. Museum visitors who display their EBT Card and a valid form of identification will receive a discounted admission rate of $1 per person, for up to six people in their party. Children under three are, as always, free. This admission rate is available during all normal operating hours. - Kids Museum Passports: A Kids Museum Passport is good for free on-site admission for two adults and two children. They can be checked out at Chicago Public Library branches. Color Awards >> Photographers! Late Entry Deadline - Last 4 Days! Only 4 days left to enter the 12th Annual International Color Awards. Portfolios will remain open until Friday, December 21st. Don't miss the last chance to put your work in front of the world's leading galleries, art directors, curators, editors, agents and publishers and be recognized by the industry at the premier showcase for color photography. Open to professional and amateur photographers worldwide. Entry fees are $35 with 10% discount for members of photography associations and clubs. Email your Questions or Comments | or visit our Frequently Asked Questions page. Submit a memoir of 5,000 words or less. Multiple entries are accepted. Pages should be paper clipped, with your name, address, phone and title of work on the first page. Double-space, and use 12 point font. The entry fee is $25 per story. Enclose legal size self-sealing SASE for critique and list of winners. AT WHAT COST DO PHOTOJOURNALISTS CAPTURE WAR? New Book Profiles 18 Preeminent Conflict Photographers, Displays Their Resolve to Document History—and the Grave Dangers endured. You are in the Bosnian town of Bijeljina. You photograph paramilitaries as they interrogate a young Albanian prisoner. Outside, the Serbs shoot a middle-aged woman pleading for her husband, then gun down another woman. “No photographs!” the soldiers yell, as the body of the prisoner, hurled from a mosque, lands at your feet. Your own life at risk, do you put down the camera? In the book Shooting War, (Glitterati Editions, November 2018) University of Toronto psychiatry professor Anthony Feinstein opens a new line of investigation into conflict by recounting the stories of the photojournalists who put their own lives in peril to document history as it unfolds. What of the person taking the photograph? How are they affected physically and emotionally by their work in the world’s most dangerous places? What are “moral injury” and “moral luck” and how have these affected the lives of conflict photographers? What lies at the root of their drive to bear witness and document events regardless of the personal price? Sebastião Selgado’s work photographing the migrations of Rwandan refugees fearing for their lives in Tanzania, Rwanda, and the Congo left him so physically and emotionally drained he had to take a break from photography. Tim Hetherington was killed in Libya, Chim Seymour in Egypt. Carol Guzy’s experiences in conflict zones led her to seek counseling and help from a psychiatric day hospital. Timothy Page’s work in Vietnam came with shrapnel in the brain and three cardiac arrests. While the text lays bare the traumas endured, the images speak to the resilience and creativity of the photographer in shaping our understanding of war and conflict. Together, they remind us of the vital role photographs play both in building awareness and serving justice. Anthony Feinstein, Ph.D., is a neuropsychiatrist and professor of Psychiatry at the University of Toronto. He has authored a series of seminal studies exploring the psychological effects of conflict on journalists covering the Balkans, Iraq, Syria, Kenya, Iran and the refugee crisis in Europe. He is the author of Journalists Under Fire: the Psychological Hazards of Covering War (John Hopkins University Press, 2006) and Battle Scarred (Tafelberg Press, 2011). In 2000-2001 Feinstein was awarded a Guggenheim Fellowship to study mental health issues in post-apartheid Namibia. In 2012, he produced a documentary, “Under Fire”, based on his research of journalists in war zones. It was shortlisted for an Academy Award and won a 2012 Peabody Award. His Globe and Mail newspaper series bearing the same name as his new book, also titled Shooting War, was shortlisted for a 2016 EPPY award. 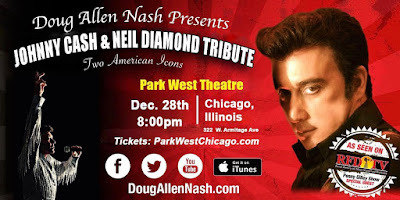 From THE LAS VEGAS SUN "Nashville recording artist Doug Allen Nash captures the appearance, vocals, speech, mannerisms and spirit of these icons." began performing in local talent shows at age five and had formed his own band by age 12. Tennessee and co-produced by Grammy Award winners John Carter Cash and Chuck Turner. Doug has performed many styles and varieties of music over the course of his career in the Entertainment Business and continues to be passionate about every performance.